by Dr Alexis Benos, professor of Social Medicine & Primary Health Care at the Department of Medicine of the Aristotle University of Thessaloniki. Disclaimer: The publication on this blog of some cartoons with provocative or excessive content does not, in any case, support the theses of the websites from which they were reproduced. Any caricature, by definition, forces the line of a situation to stimulate the debate on the subject treated. A lot of talk has been recently going on on the occasion of the "scandal of the well known pharmaceutical company". Piecemeal revelations about corruption and collusion at various levels, with the purpose of serving the interests of the company, of course with a view to profit, highlight some structural issues. Is it indeed a scandal  - in the sense of an extraordinary event that is contrary to the rules and "moral laws"? Or is this institutional corruption, self-evident and indispensable for the reproduction of capitalist production relations? The basic ideology on which the pharmaceutical industry relies to justify its role is the claim that through its research it discovers new drugs and saves lives. Based on this very idea, it finances and influences scientific societies and patient organizations, which, in cooperation with similarly influenced media, multiply the political pressure to protect and facilitate the "good" pharmaceutical industry that "saves us". On the other hand, isn't it true that new drugs that changed the course of various diseases have been discovered ? What are the real dimensions of this phenomenon? Profitability or response to real needs? In the first post-war period of "healthy" capitalist competition, the pharmaceutical industry has expanded under the banner of research for discovery of new drugs, vaccines, etc. The brother branch, economically and scientifically, of biomedical technology has shown a parallel expansion, with corresponding results. New medicines, as well as new machinery, have indeed been discovered, part of which actually contributes to the diagnostic approach and the treatment of the disease. Obviously, however, the industry's goal is not to improve the health of the population as an end in itself, but to expand its profits. So, it follows the modern evolution of the capitalist economy, which has inflated the profitability of virtual products and processes to the detriment of the traditional production process. But most of the new drugs being marketed do not usually have anything new to offer. In France, for example, the pharmaceutical industry introduced 1032 new or renewed old medicines from 2005 to 2014. Of these, only 66 had significant action, more than half offered nothing new and 177 were considered unacceptable as they caused serious side effects. Following the relative saturation of the wealthy western market, the pharmaceutical industry transfers its interest to small niche markets, aiming very high prices. Thus for instance in the US, medicines modifying the course of multiple sclerosis , from an average of $ 8-11,000 per year for every patient in the 1990s, reached today the yearly cost of $ 60,000. Through various scientific and journalistic interventions, relying on the approach that "the more desperate the sick are, the more they are ready to pay," campaigns to terrorise and intimidate the patients are being launched from time to time, and they are used in turn by political officials in order to secure the marketing and the high prices of these medical treatments. The dominant targeting of profitability is therefore very little interested in meeting real health needs. But it is very effective, as it is in the case of biotechnology, in creating an artificial demand for services and medicines. The pharmaceutical industry influences auditing and control bodies and governments through lobbying, financial donations, and through the presence of its representatives in the various policy committees, aiming at adapting the institutional framework to its interests (structure and role of control mechanisms, processes and criteria of quality control, etc.). A clear evidence of the influence of business interests on the approval processes and qualitative assessments of medicines is given by the involvement of the pharma industry in the financing of the functioning of the decision-making bodies. In the US, for example, after years of under-funding of the US Food and Drug Administration (internationally known as the FDA) by Congress, a serious problem had arisen in the process of controlling and licensing of pharmaceuticals. With staff cuts, procedures had become particularly time consuming. To speed up the procedures, it was established by a federal law in 1992, that the companies themselves would able to fund staff to assess their product within strict time-frames so as drugs would be marketed the sooner possible and companies would take advantage of longer-term rights to the patent. In Britain, following the Thatcherian principle that "science must meet the needs of the industry", the UK Medicines and Healthcare Products Regulatory Agency (MHRA) is 100% financed by payments of the pharma companies concerned, from 1989 and on. In any case, the financing agreement has a clearly defined expiration date, the breach of which by the audit organization cancels its funding. So the organization has a direct interest in accelerating the audit process and relaxing its criteria. For this reason, medicines approved by FDA with rapid procedures showed a fivefold chance of ex-post withdrawal due to undesirable effects. The current institutional framework, both in the US and in the EU, makes the financing of control bodies dependent on pharma companies. The companies themselves, in fact, finance their products' control and therefore define their criteria and assessment rules. Interconnection of interests and consequent corruption are thus determined by the institutional framework itself. But even this framework is often violated by the pharmaceutical industry, which does not seem to be affected by the excessively high fines it is summoned to pay. Johnson & Johnson paid a $ 2.2 billion fine for the illegal prescription of Risperdal, Invega and Natrecor in 2013. GlaxoSmithKline agreed in 2012 to pay a fine of $ 3 billion, accepting that it was promoting Plaxil to treat depression in patients under 18 years of age, while the use of that drug was not approved for this age group. Merck paid $ 950 million in 2011 for the illicit promotion of the Vioxx analgesic, which was withdrawn from the market in 2004, when a number of studies have shown that it increases the risk of cardiac arrest. The Treatment Action Campaign (TAC) is a South African HIV/AIDS activist organisation, having forced the former government of SA to begin making antiretroviral drugs available. Supporting and expanding copyrights / patents is a strategic goal for the pharmaceutical industry, since the more strictly and the longer they are protected, the greater the profitability of the pharmaceutical industry becomes. A first historical conflict in this field occurred in the 1980s with the US legal attack against Canada , which granted market authorizations to medicines regardless of patents, and succeeding thus to reduce pharmaceutical spending by 15%. This process led to the signing of the treaty known as the North American Free Trade Agreement (NAFTA) in 1994. At the same time, the pharmaceutical industry through its intense backstage activity plays a key role in the evolution and objectives of the World Trade Organization as well as the Trade-Related Aspects of Intellectual Property Rights (TRIPS) agreement. This agreement establishes the 20-year validity of the patent and reduces / slows down the the potential for developing generic medicines. The integration of individual agreements, such as the Trans-Pacific Partnership Agreement (TPP) and the Transatlantic Trade and Investment Partnership (TTIP) between the US and the EU will further increase the burden on the health of the population. In Vietnam, for example, under current patent law 68% of the HIV population has access to antiretroviral treatment; after approval by the TPP, access to treatment will be available to only 30% of the patients. Any product to be made profitable requires a well-designed strategy to promote it on the market and its positive acceptance by the consumer. In the case of pharmaceuticals, the key to success of a drug on the market is the reaction and behavior of doctors because of their key role in the choice of prescribing it. To this end, a large proportion of resources are invested in drug promotion studies. The main pretext is the actually necessary phase of clinical trials for each new drug, the aim of which is to determine both its efficacy and its safety (that is, it does not cause undesirable lesions). A key feature of this process, which defines the individual relationships of interdependence, is that these promotional studies are designed, financially supported and assessed by the pharmaceutical companies themselves. The design, research methodology and product assessment are based on the speculation criteria of its producer. All this happen while, as a choice and result of neoliberal austerity policies, health services have been pressurised by economic strangulation and deprivation of human resources. The acute and inelastic necessity to ensure continuity of functioning of the health units of the Greek National Health System (ΕΣΥ / ESY) and of the University clinics is the basis for perpetual blackmail by the pharmaceutical companies who offer to provide both technological equipment and staff (with precarious work contracts), thus achieving the utmost legitimation of such collaborations . But the most efficient weapon to safeguard and expand the speculation of the pharmaceutical industry is the perpetuated dominance of the mechanistic paradigm of health in research, training and daily practice of medicine. The dominance of the concept that human health is the resultant of adding separate partial functions, on which modern biomedical technology can intervene. In other words, "for every problem there is also its pill", from sugar and diabetes to sexual activity and mood. This lasting vicious circle, being self-sustaining, is based on the emergence of new problems (rarely existing, more often created) for which new medicines are introduced to the market, often causing undesirable side effects, appealing for other new drugs to deal with. The strategy that promotes drug dependence is massively expressed lately by a series of advertisements that try to convince us, for instance, that a pill will make our mood great or that our affective relationship will be rescued. Following all the above, one should conclude that the interconnection and collusion of the pharmaceutical and biotechnology industry with politicians and state officials and the subsequent corruption of senior policy makers is not something extraordinary or odd. It is a permanent feature of strategic importance for increasing profitability and reproduction of capitalist production relations. Such a permanent feature of strategic importance is also the absolute dominance of the values ​​and goals of the pharmaceutical industry in undergraduate, postgraduate and continuing education and training of health professionals. Yet, contradicting the mainstream doxa that " there is no alternative" (TINA), these same most evident distortions of the dominant paradigm actually point to the way of its overthrowing. The biopsychosocial approach of health focuses on the socio-economic and environmental process that determine the health level of a population, thus highlighting the areas of intervention to promote health and prevent disease. According to such an approach, pharmaceutical treatment is removed from the vicious circle of "advertising - consumption - profitability" and becomes integrated as a part within the framework of scientifically proven necessary treatment based on research on real health needs. 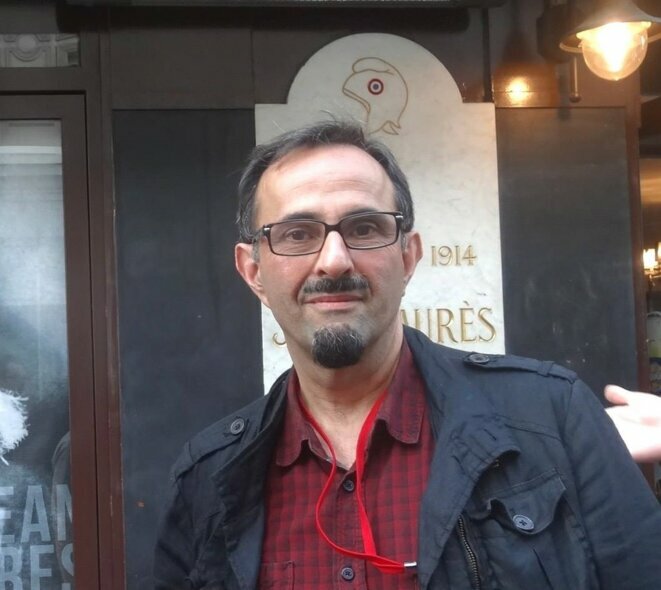 Alexis Benos is a Doctor of Social Medicine and teaches Hygiene, Social Medicine & Primary Health Care at the Department of Medicine of the Aristotle University of Thessaloniki. Together with Anthony Koutis, in 2017 they translated the book by Jeffrey Rose "The Strategy of Preventive Medicine" , published by the National Bank of Greece Cultural Foundation.